Roulette may be a game of pure chance, but there are one or two things gamblers can do to ensure they get the best odds possible. There are also a few popular practices which tend to hurt more than they help. Here, we’ll separate the wheat from the chaff and show you which roulette strategy tips to follow, and which to ignore. As always, there are some golden gambling rules to follow to increase your chances of winning. Q: What’s the easiest way to improve my chances of winning at roulette? A: Pick the right type of game. There are two broad categories of real money roulette: single-zero games (European and French roulette) and double-zero games (American roulette). Both feature 18 red pockets and 18 black pockets, numbered one through 36, and both follow the same payout scheme. But while the former has only one zero pocket, the latter has both a zero (0) and a double zero (00). This might seem like a subtle discrepancy, but the consequences are significant. Because the zero pockets effectively belong to the house (i.e. they are not included in outside bets such as red/black, odd/even, et cetera), having two of them means the casino gains an extra advantage. So while the house edge one a single-zero European wheel is 2.70 per cent, that figure rises to 5.26 per cent on a double-zero US roulette table. Therefore, unless you fancy nearly doubling your losses in the long run, the choice is clear: always play European and French roulette tables. For even better roulette odds, keep your eyes peeled for games which offer la partage or en prison on even money bets. Under these rules, you can get half your wager back whenever the ball lands on zero. That cuts the casino advantage down to just 1.35 per cent – exactly half that of standard European roulette, and nearly four times less than the house edge in American roulette. It’s all well and good for us to say you should never play American-style roulette games. But what if the double-zero wheel is the only format available? Sadly, that is often the case at land-based casinos these days. As the industry becomes more and more competitive all over the globe, operators have become much more concerned about their profit margins and far less bothered about the quality of their games. Thus, the main gaming floors at land-based casinos are now flooded with dodgy double-zero roulette tables. You can still find European-style games here and there, particularly in the high-limit rooms, but the vast majority of low-to-mid level roulette tables use the American layout. There is, however, a very easy way to sidestep this issue. 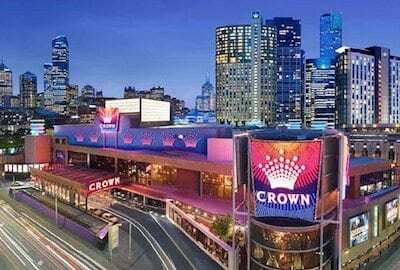 Rather than braving the crowded floors of Crown, The Star, or The Treasury in search of a single-zero game, you can play online at a secure real money casino. 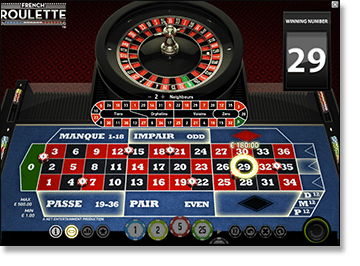 The best online roulette sites carry a wealth European and French roulette options, with titles from top software developers such as Microgaming, Net Entertainment and BetSoft. You don’t have to wade through mounds of tripe to find a single-zero game, while flexible betting limits allow punters of every calibre to enjoy the lowest possible house edge. Playing roulette online also means your bankroll doesn’t get chewed up by periphery expenses. There are no $4.50 ATM fees, no $11 beers and no exorbitant cab fares when you gamble from your desktop, laptop, smartphone, or tablet device. Without that drain on your hip pocket, there’s more money for the main event. For the best online roulette games, check out our listed of top-ranked casino sites above and our official reviews of their games and services – all of which are available to gamblers. For tips on how to choose your winning roulette numbers, check out the superstitions regarding unlucky numbers to avoid. Have you ever come across one of those websites which promises to teach you how to beat the house at roulette? Those guys are simply peddling variations of the same old betting systems that have done the rounds for years, none of which are any good. The idea behind a betting strategy is to adjust your wagers in such a way that, no matter how often you win or lose, you always come out on top. Now, technically speaking, this can be done – but only if you have unlimited cash. You would also need a roulette table with no maximum bet, which (as far as we know) simply does not exist. To demonstrate, we’ll look at the biggest offender: the Martingale strategy. This is the most popular variant of what is called a ‘negative progression’ – that is, a system whereby you raise your bet after a loss, but decrease it after a win. With the Martingale, you need a table with a very low minimum and a very high maximum bet. Pick any of the even-money outside bets, start with the lowest stake and then follow a simple pattern: double the wager after each loss, and return to the minimum bet after each win. This process is supposed to ensure that every winner will net you an overall profit, regardless of how many losses you cop in the process. Thus, we win $4 on the third go after losing $3 on the first two spins, which leaves us $1 up. We then drop our bet back to $1 for the fourth spin and start the progression all over again. That seems all fine and dandy, but imagine if we started at $5 and lost five spins in a row. That would leave us $155 down ($5 + $10 + $20 + $40 + $80) in no time, with a $160 wager due next up. If the maximum bet for this table is only $100, we’re screwed – for even if we stake $100 and win, we’ll still lose $55 overall. That’s the danger of roulette betting systems. 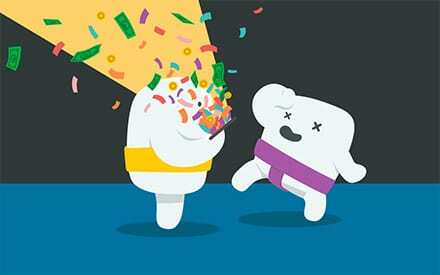 All it takes is one losing streak – and not even a very long one – and your bankroll is gone. Indeed, computer simulations show that flat betting (i.e. playing the same wager over and over) is a far more reliable option than any so-called ‘100% guaranteed’ wagering strategy. Don’t get sucked in. For the superstitious amongst us, we recommend you also read our guide to good luck gambling omens. If you want to increase your gambling knowledge even further, check out our list of the best books to learn gambling strategies. For the best roulette odds online, sign up at Dunder Casino – our top-rated real money roulette gambling site for players around the world.